A classic street vendor snack in Japan, Taiyaki is a warm fish-shape cake with red bean filling. This waffle-like Japanese snack is very popular at street fairs and festivals in Japan. In this recipe, I’ll show you how you can make fresh hot Taiyaki at home. Living in the US, I crave for street vendors’ foods that I used enjoy at festivals in Japan. Among them, hot and freshly made Taiyaki (鯛焼き) with red bean paste was one of my favorite. Classic street vendor snack in Japan, warm soft fish shaped cake with red bean filling. 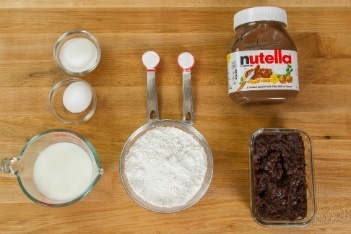 You can also use Nutella and other fillings. 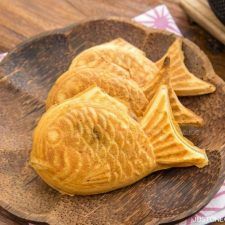 Taiyaki a fish-shape cake/snack filled with azuki sweet red bean paste. During the street fair and festivals, you’ll see it being cooked on a fish-shaped iron mold. Why fish? The original taiyaki iron mold was round and the mold was for (still is) making Imagawayaki, which is the same as Taiyaki but with a circular shape. Back in Meiji-era (1868 – 1912), Tai (sea bream) was considered a very expensive fish and only eaten for special celebrations. Though unclear which sweet shops actually started the trend, they decided to change the snack from its circular shape mold to the sea bream shape mold, and the sea-bream-shaped cake was born and became a huge hit. Tai means “sea bream” and yaki means “grilled/baked”, hence that’s the origin of taiyaki. 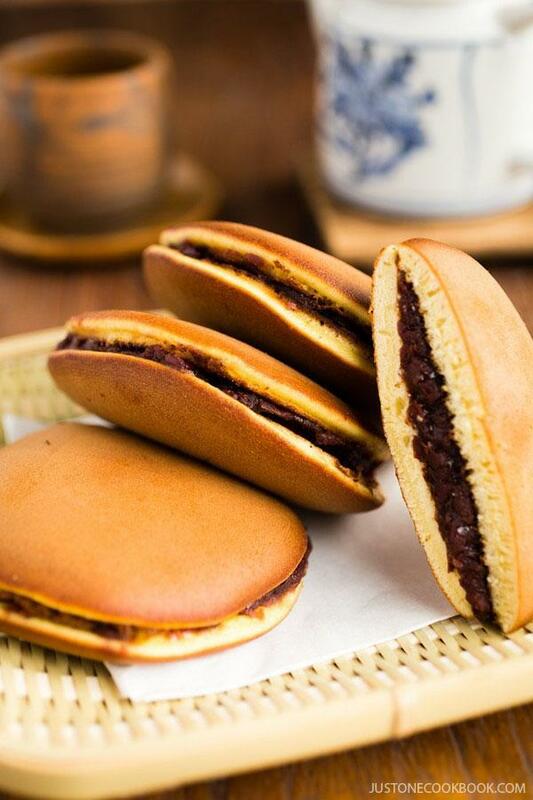 When it’s freshly made, the crispy exterior surrounding the warm soft cake with anko filling is simply delectable. I would toss the taiyaki between my hands to avoid getting burnt and slowly bite into the steaming hot cake. I usually start eating from the head side and the tail last (how about you?). I miss those memories and always wished that I could eat taiyaki here in the U.S. And thanks to requests from some of my blog readers, I decided to purchase a taiyaki maker and started to make taiyaki at home. Every store has their own recipe and style for taiyaki, and my recipe leans toward cakey, fluffy pancake texture as that’s my children preference. I like mine to be on the crispy side like waffles. If you also like crispy texture, omit the egg and adjust the liquid amount for the batter. 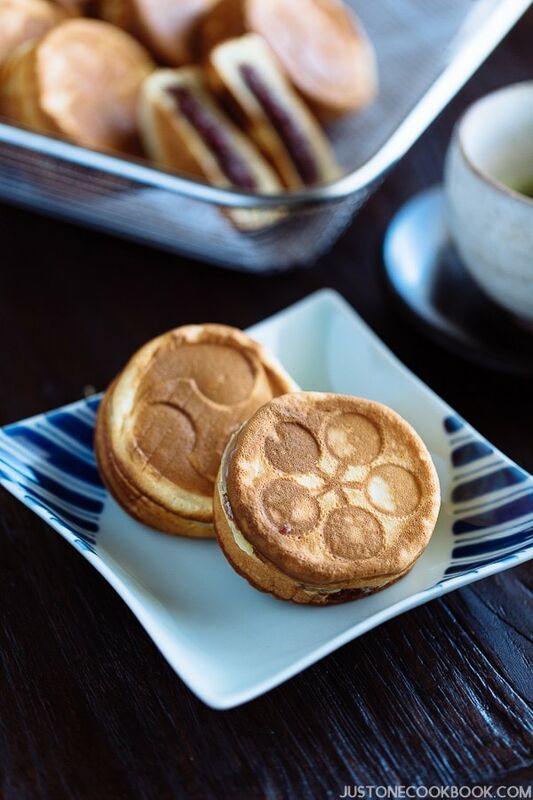 For filling, red bean paste is the classic and most popular, but these days there are other options such as custard cream (recipe), chocolate, Nutella, cheese, and sweet potatoes. When I don’t have time to make my homemade red bean paste (tsubuan), I use a can of Ogura-An. 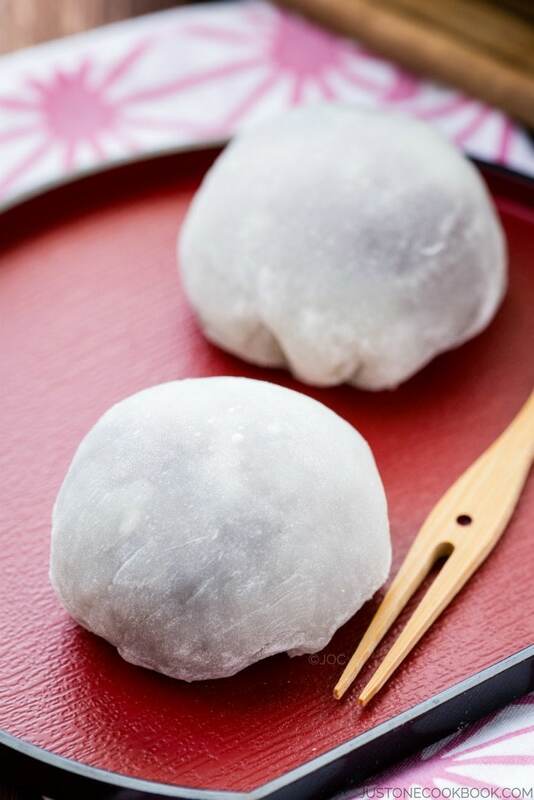 The texture of the red bean paste is very smooth and easy to use. 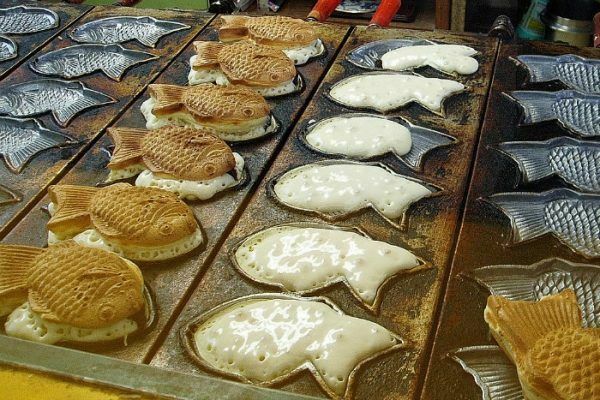 A classic street vendor snack in Japan, Taiyaki is a warm fish-shape cake with red bean filling. This waffle-like Japanese snack is very popular at street fairs and festivals in Japan. In this recipe, I'll show you how you can make fresh hot Taiyaki at home. Sift the cake flour, baking powder and baking soda into a large bowl. Add the sugar and whisk well to combine. In a medium bowl, whisk the egg and then add the milk. Whisk well to combine. Combine the dry ingredients with wet ingredients and whisk well. Keep the batter in the refrigerator for at least one hour to rest and let the flour absorb liquid. Whisking the batter creates gluten, so it’s better to let it rest to make smooth batter. 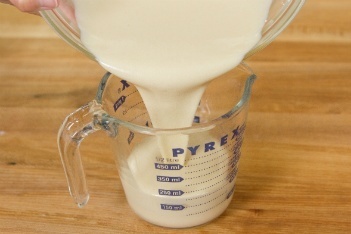 Pour the batter into a measuring cup or jug. It should be 1 ¼ cup. 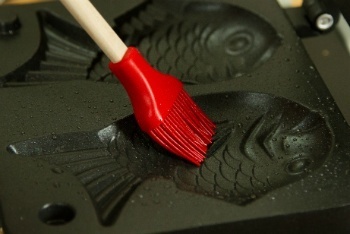 Heat the Taiyaki pan and grease the pan with vegetable oil using a brush. Fill the Taiyaki pan mold about 60% full over medium low heat. Put anko in the center of each mold and pour the batter on top to cover anko. Close the lid and immediately turn/flip. Cook for 2-2.5 minutes each side. Then flip and cook another 2-2.5 mintues. Open and check to see if Taiyaki is golden color. Let Taiyaki cool on a wire rack. You can also use Nutella filling. Cake flour: If you can't find it, use this substitution. 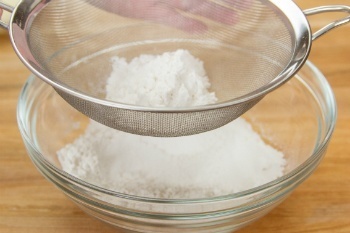 Take one level cup of all-purpose flour, remove 2 Tbsp, and then add 2 Tbsp of corn starch back in. (1 cup AP flour - 2 Tbsp AP flour + 2 Tbsp corn starch = 1 cup cake flour). Be sure to sift the flour 3-4 times to distribute the corn starch well. Milk: Depends on the egg size, adjust the amount of milk. 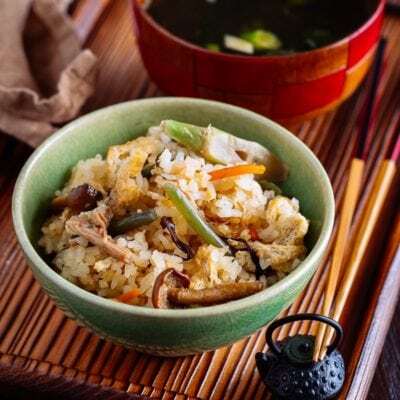 Anko: Homemade recipe, click here. You can also use Nutella, custard, or your favorite filling. Please note that each brand of Taiyaki maker comes with different size, so if you are making Taiyaki for the first time, consider the first trial for measuring your taiyaki size and ingredients portion. 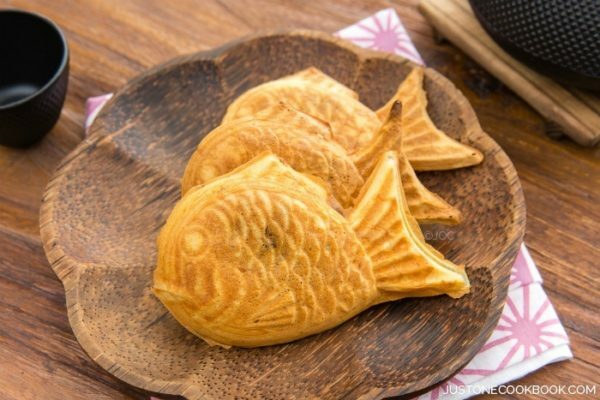 Love the Fish shape of this Taiyaki make.. So glad to have this recipe now! Thank you for this! They’re adorable, Nami. I’d love to eat one … I bet it’s more fun than those uni frat boys who eat live goldfish. That looks SO good! Can’t wait to try it out one day! This is a really nice giveaway! Good luck on the competition! My favourite is always red bean paste, but in Singapore I have tried Taiyaki with Coconut Jam Filling (known as Serikaya in Indonesia where I grew up – it is a sandwich spread, primarily made of coconut milk, eggs, sugar and pandan leaves(screw pine leaves)). This Coconut Filling has always left me craving more each time! I also enjoy cream cheese filling. AHHH!! I have to make these! I love anything from the Japanese Bakery especially ones shaped as animals (e.g my pig shaped bread buns). So cute Nami, I want to one of your kids. Thank you for reading the post, Sondang! This is adorable. I can imagine my Sunday School students going crazy for this :-). Love the cutesy fish shape so much! Speaking of which, do you reckon soy milk would be a good substitute here? What a fun treat! They sound amazing. Red bean, or coconut creme and sprinkles! Hello Nami, long time no see-(( How are you? I am so happy for you that you have so much going on on you blog. Well done!! It’s terrible when you eat something that is suppose to be filled and you find nothing, well, maybe not nothing but close to. I don’t why people fill just in the middle and do it completly. 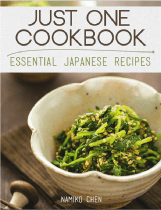 I am a traditionalist, so I would opt to make mine with the red bean paste. Hi Kimmi! Yes, it’s a big difference when you have to share a taiyaki in half and one side doesn’t have enough anko… BUT after I make my own, I realize that it’s a bit too much work to fill the anko into the tail. You don’t want to over stuff and anko comes out from the tail (more cleanup to do…). 😀 Thank you for reading my post! Thanks for sharing the recipe. I’ve always wanted to eat this but I can’t do so. 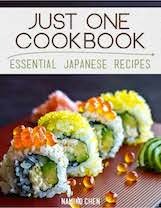 With this recipe, I’ll be able to make my own Taiyaki. As for now, I didn’t have the Taiyaki maker and I don’t have the traditional mould with fish pattern because it’s not available in my country, so I’ll try it with the mould I have at home which my mom used for traditional malay dessert. I hope i would be lucky enough to win the maker! Fingers crossed. Will get back to you once I’ve tried it out. Nami, you truly can make everything! I love buying these at Mitsuwa and I like biting off that crispy tail first! haha. Yours looks perfect. I would love to try a Nutella filling though red bean is hard to beat! Your kids are so very lucky! OH wow! THESE are adorable!! What great pictures! And wonderful recipe — new to me, and it looks wonderful. Thanks. These would be almost as much fun to make as to eat. Love this pan! oh my gawd, I LOVE taiyaki!!! 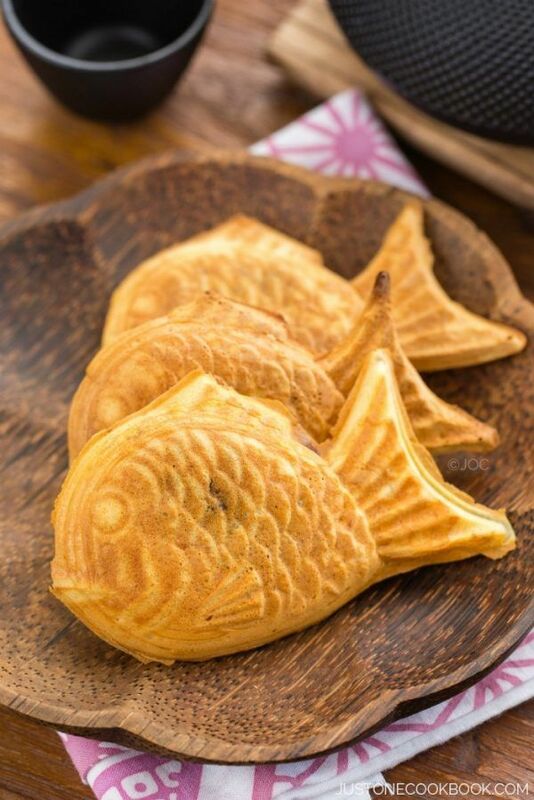 In fact, my friend borrowed a taiyaki-pan from her friend and we made these: http://instagram.com/p/phucjale85/?modal=true my kids LOVED it!! I think I must have seen these somewhere in Tokyo, sold outside… but I have never tasted them. I know regret because they look and sound so delicious here! (Much better than in Tokyo actually). it looks yummy ….. have you tried the one with ice cream inside before? (purchased from market) Do you know how those ones are made? Hi Shu! Yes I’ve tried those. 🙂 I’ve never tried making it at home because taiyaki is very hot while cooking and you have to put into ice cream… hmmm I’m not sure if I can do it (manufacture can…). Oh Nami, these are so so adorable! I love that you make them at home too especially with a crispy texture. 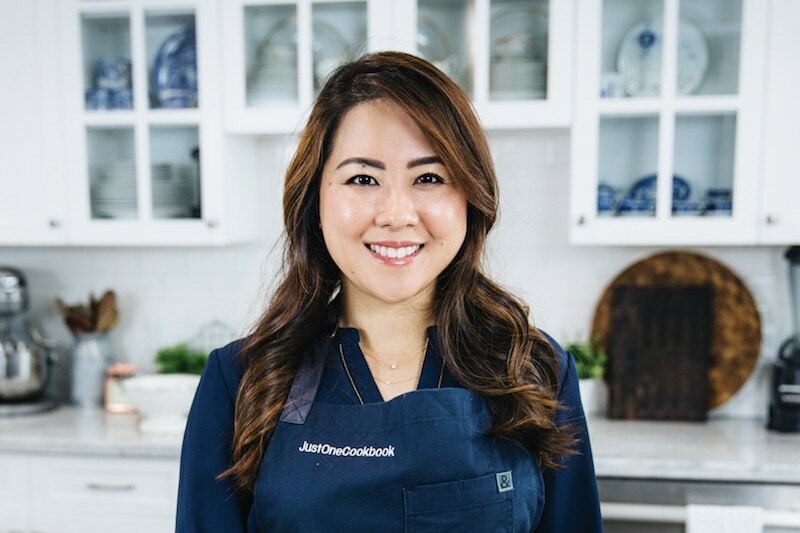 I love red bean desserts but Nutella or sweet potatoes sound fantastic too! Wish we had real street food here, not ‘organized’. And these look awesome. The fish shape would be perfect for my mom who is born April 01 lol. This is awesome! Do you also have any other recipe on how to make the custard for Taiyaki? Hi YC! I wish I already have a custard recipe published on my blog, but I haven’t. Hope you can find a good recipe online somewhere. Thank you! 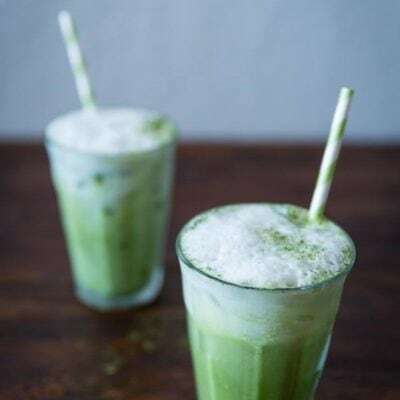 My ex-girl used to love store brought Taiyaki ice cream and convert me to love the red bean ice cream filling instead matcha too…. I love Imagawayaki. If I am ever in Little Tokyo, I always make sure to stop by the little bakery to get so fresh ones. These look similar, I’m sure they are tasty as well! Yummmmm, Taiyaki! When I was young, my mum always stock packaged cakes with sweet red bean paste and I remember eating them all. I bet the freshly made ones taste a lot better and these fish shapes are so cute though! What a handy maker, I didn’t know there is an actual tool to make one! We lived in Korea for many years and this was a favorite treat for my son, he was about 6 at the time. Hi Moira! 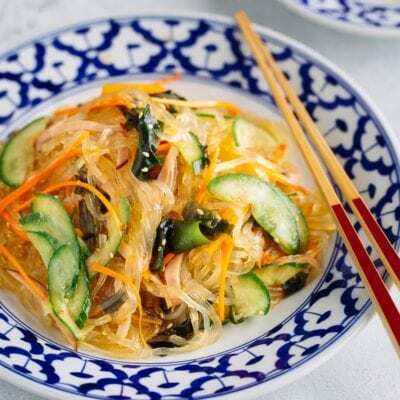 I just learned not a long ago that people in Korea eat this too! How wonderful! Chinese, Koreans and Japanese all love red bean sweets. 🙂 Thank you for writing! Your Taiyaki is pretty. I don’t see any Taiyaki stall in my neighborhood and always think of making it someday. Anyway, except for online stores, do you know where can I get the pan? It can’t be found in regular supermarkets, I suppose. Kappabashi ? i love taiyaki. The cute cookies with yummy chocolate center. Thank you for the recipe. I live near a big Asian market and buy canned red bean paste. Can I use that for this recipe? 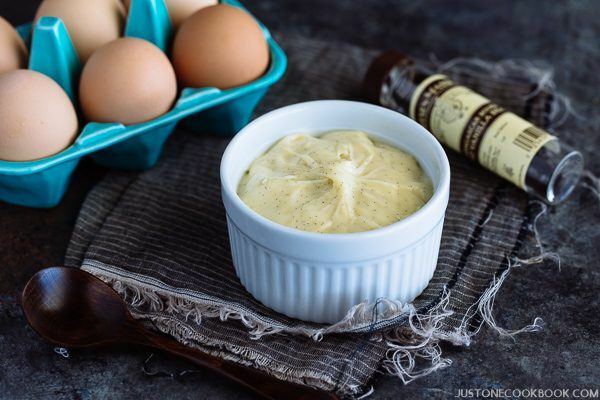 How long can I keep the batter in the fridge? Thanks for reply. Means after I make the batter, I can keep for 3 days before I take it out to make the pancake right? How about the fish pancake itself? How long can it be kept in fridge and how long can it be kept outside? Your Taiyaki recipe call for both baking soda and baking powder. Why do other Taiyaki recipes ONLY have either baking soda added and others ONLY baking powder? Can you make Taiyaki only by adding baking powder and leaving out the baking soda? Hello! I hope to make these and send as part of a gift basket to someone, so I wanted to find out how well they keep after making? The transit-time would be 2-3 days, so if there’s a chance they could still be worth eating upon arrival, do you suggest any specific way to wrap/store them? Thank you! Is there any way I can fill it with ice cream? I’m thinking of a nice cold dessert since it is very hot here in Singapore! Hi Kelsey! I think… it’ll be hard to do it at home…. Your ice cream has to be super frozen when it’s added as filling. But it might melt away while cooking after you put batter on top for the second part. Can´t you put both red bean paste and nutella in? or would that be to much flavor? I have never tasted red bean paste. But Im sure it taste sticky and sweet. 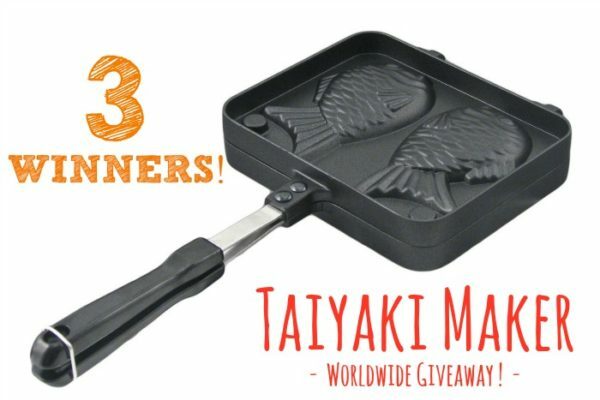 Can you use this Taiyaki pan on any stove? 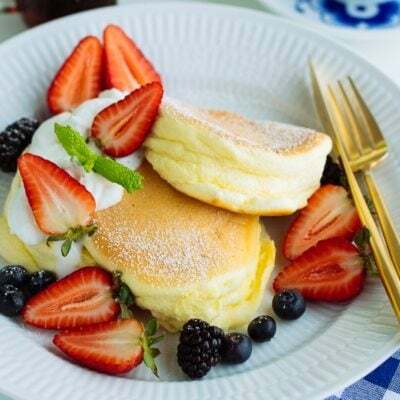 Is it I must to have this kind of pan or can you use an elctronic Taiyaki pan, or will the cake not be the same if you use a electronic Taiyaki pan? Have never tried this but really want to. Hi Tina! Personally it sounds too sweet if I put both Nutella and red bean paste. But red bean paste with whip cream or custard sounds better…. My taiyaki pan arrived finally! 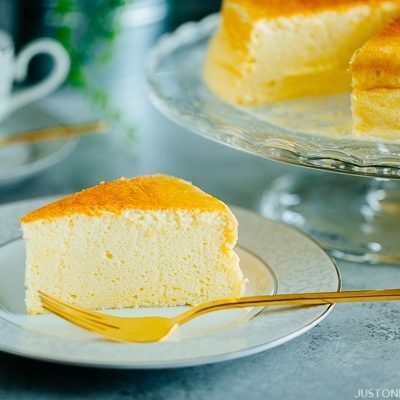 This cake is simply and very delicious – just as I like. Your website is very useful and classy! Congratulations! I have tried Taiyaki with cheese filling inside. It’s not the metling cheese strings, it’s somewhere between pastry cream and Laughing Cow cheese cubes. A little bit savoury/salted, cheesy smell, not the cream cheese either. So I am wondering that is it possible to add Laughing Cow cheese cubes into the taiyaki? Is it hot enough to melt the cheese into a thick but still runny (like pastry cream)? Or should I add cheese while making pastry cream (custard cream))? If so, when should I add the cheese or do I have to omit a few eggs as well? I made some grilled cheese styled taiyaki with this recipe (for my younger brother who is not fond of anko). I just used shredded cheese and deli meat. The cheese melted perfectly without burning and they came out great. You should be able to use pretty much any food that is semi fluid, or melts. Luaghing Cow cheese should work, if you have not tried it by now. Can you make the batter night before and refrigerate it for the next morning or no? I thought that I should leave a comment since I forgot to do so earlier. I really want to try making these, is there any way to make them without the fish mold/maker? 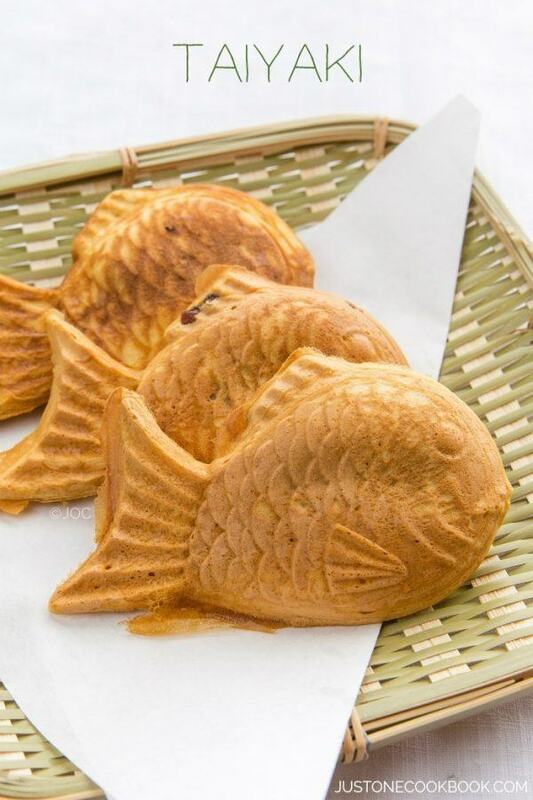 Hi, where can I buy the taiyaki mould? I wanted to ask, is it okay to use the stove to make the Taiyaki? I noticed that you used a gas hotplate but I only have an electric stove…would it work? Hello Nami! 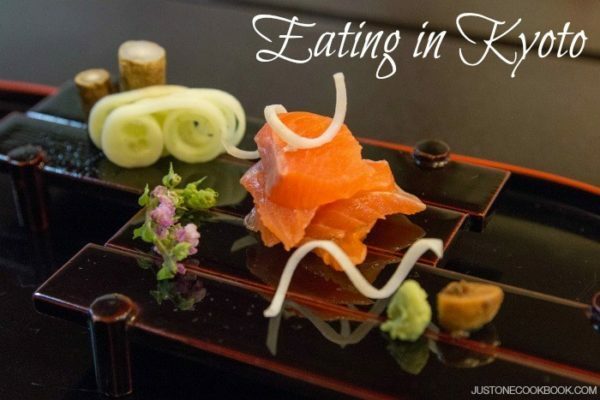 I recall eating something in Japan that looked very similar to this but the filling was made with chestnuts. Are you familiar with those? I would love to get the recipe. Thanks! Hi Cristina! 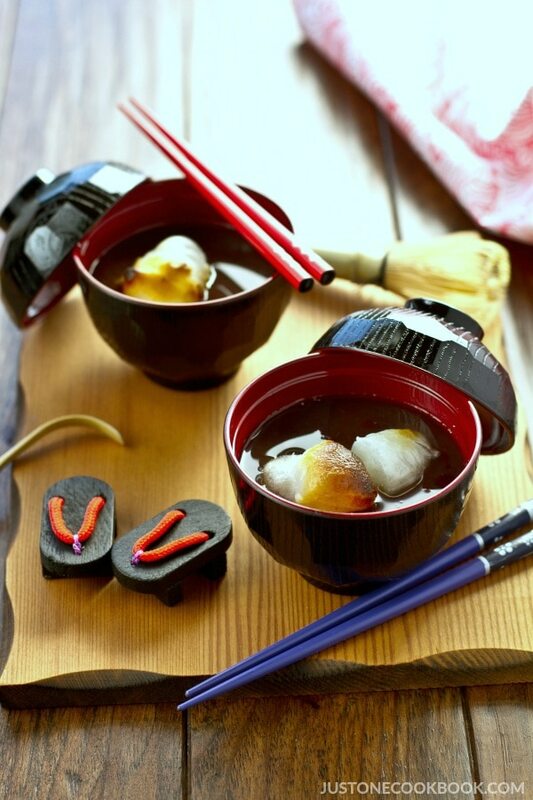 In fall seasons, Japanese snacks start to include chestnuts and sweet potatoes as filling or flavors. They are usually not sold all year around because we have “proper” seasonal items for each season. I’m pretty positive what you tried is the seasonal version. Was it in Taiyaki or different shape snack? Maybe round one? Cake flour is usually sold in boxes and in the same general area in the store as the cake mixes. Since it’s in a box with a picture of cake on it, it’s easy to overlook thinking it’s just some brand of cake mix you’ve never used before. Would I still be able to make this if I have an electric stove? Hi Kertu! With this taiyaki pan, no, I don’t think it works because heat distribution won’t be good and it’ll have hot spots and won’t be distributed well. Can you possibly make taiyaki with a machine OTHER than a Taiyaki maker? Is it possible to make this with a pre-made cake or waffle mix? Like an all-purpose baking mix? I’m a college student so it’s hard to keep a lot of ingredients around! where did you buy the iron making the fish shapes? i1m from norway, and can’t find it here. are there websites i can look at to buy one? I love making these, although my pan is getting old and my taiyaki want to stick, even when I oil it. I think I need to look into buying a new one. I originally found a recipe that just used pancake mix, and I use that one for making the taiyaki my daughter takes for her students the last day of class (she teaches a how to draw manga class at a local art studio, running several times a year for 8-10 weeks). I need to try this recipe, though, since the pancake batter can be a bit thick and it’s harder to get it to fill the “fins” to the end. I think I have everything here I need – always have anko on hand, and of course, Nutella. I’ve tried using fruit preserves, too, and they tasted great. Thank you so much for posting this! When I lived in Japan, I would often stop by the taiyaki stand inside Tenmays Department store to buy a taiyaki. It was my favorite treat! Now I live in the US, but a friend just gave me a taiyaki maker. I’m so excited to make them for my kids with your awesome recipe! Hi Ashley! Somehow I probably deleted your comment in my Inbox and I didn’t get to read it till now. I apologize! Isn’t it so nice to get a Taiyaki (or a few) in Japan… I miss the “treat” for myself…. LOL. Hi Mara! I actually like the ratio of batter and filling in Taiyaki better than Obanyaki. 🙂 It’s slightly “lighter”. I’ve made this recipe many times and it’s always a wonderful treat, thank you! 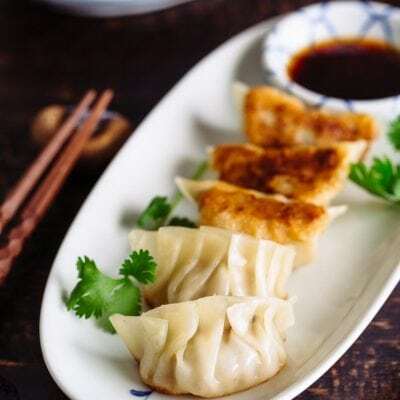 I did want to try making them slightly crispier–would you mind clarifying how to adjust the recipe without the egg (to make crispier taiyaki)? Thank you in advance! Thank you for responding! When you write: “I like mine to be on the crispy side like waffles. If you also like crispy texture, omit the egg and adjust the liquid amount for the batter” does that mean I should make it more like waffle batter? I’m sorry, I’m just confused about what you wrote–was that unintentional? Hi Stacey! No I meant that I like more crusty texture of taiyaki shell. My kids like the pancake-y shell like this recipe. 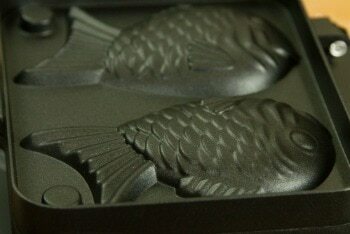 I bought the Taiyaki mold and after a couple of tries, my last batch came out great according to your recipe. SUGOI !!!! Domo arigatou gozaimashita! Thank you for posting this recipe! 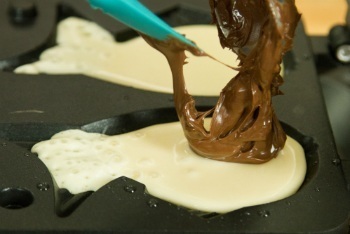 I have used it many times, and I have varied the “filling” – sometimes chocolate, sometimes custard. I also tried adding pumpkin puree to the batter and the filling for a thanksgiving twist, and it worked out great! Hi Theresa! So happy to hear you enjoyed this recipe with different fillings! It’s fun to have different fillings so we can enjoy more… 🙂 Thank you for your kind feedback! Hi! 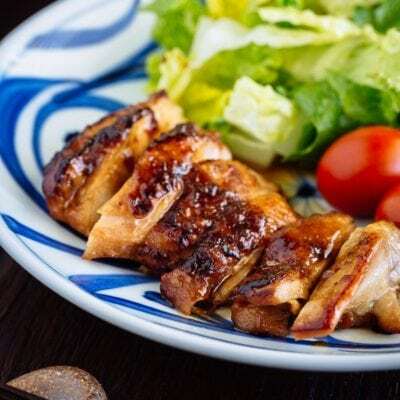 I followed your recipe step by step but my teriyaki is always seeming uncooked from the middle. What should I do? Hi SantaSans! Hmmm hard to pin point what went wrong from your short description, but it sounds like 1) cooking time is short 2) not enough heat or 3) too much batter in the middle, not evenly distributed… How about trying to cook longer on lower heat to start? Can I leave the batter in the fridge for a few days? How far ahead can I make theses? If I’m doing some for a party and want to make them the day before, will they be okay? Or if that doesn’t work, can I make the batter ahead of time and do them the day of? Thanks for the recipe. Can I reduce the sugar to 1 tbsp bc the red bean fillings already sweet enough for me. Hi Ling! Sure, that should work. 🙂 Hope you enjoy! We just returned from Japan a week ago and I am already missing these sweet treats! They were warm and amazing. We had one with sweet potato and one with sweet red bean. Oh man, I would love to learn to make them. Hi Laura! Taiyaki is delicious especially winter time. 🙂 If your area has a Japanee grocery store, sometimes they have frozen taiyaki in freezer section too. It’s worth checking it out. Otherwise, you have to make it from scratch…. Yes and I plan to try! 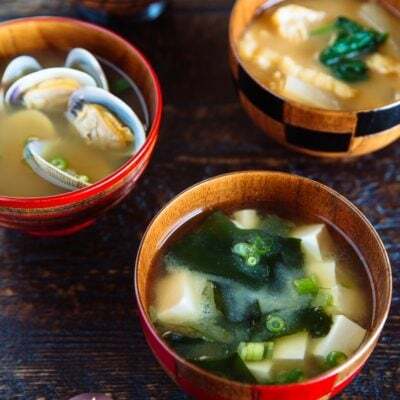 I love cooking and lately all things Japanese.